AUSC President's Office wishes to congratulate Miss . Tebian Ali, the AUSC Presidency's Special Advisor for the North Africa Focal Point. Miss. 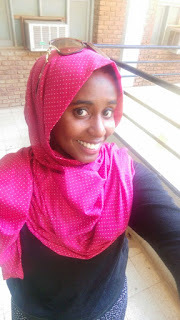 Tebian Ali, President’s Special Advisor for North Africa Region Focal Point, African Union Students’ Council (AUSC) "For the better Africa we deserve" has great Honor to Provide with AUSC Leaders All the Complete AUSC NORTH AFRICA REGION ADVISORY SYSTEM BOOK. PART ONE: General Introduction about AUSC. PART TWO: About North Africa Region. 3. AUSC North Africa National Representatives. 4. AUSC North Africa National Representatives’ Team Members at All Levels. colonization until today and that tends to make the Africa continue to exist as in such bad reputation . real solution for young capable Africans to take part in shaping the Better Africa We Deserve. I. 1st Period: January 1st 2016-2016, December 31st. a) Establishment of AUSC Transitional Committee 2016-2019 recruitment and inclusion process of all Interested African Students Leaders in all African Countries. b) Establishment of effective Online Management System and International Leadership System inside the AUSC, All possible Social Media including Extraordinary International AUSC Website. c) Following Up the African Union Commission networking and Establishment of collaboration framework among 3 possible ways, 1st Total Dependence, 2nd Partial Dependence, 3rd Total Independence. b) All African National Guild Councils/Unions and Clubs. c) All interested Non Students Organizations/Private and Public All. d) Establishment effective online meeting and Conference System. North Africa or Northern Africa is the northernmost region of Africa. The United Nations definition of "North Africa" includes seven countries and territories; Algeria, Egypt, Libya,Morocco, Sudan, Tunisia, and Western Sahara. The countries of Algeria, Morocco, Tunisia, and Libya are often collectively referred to as the Maghreb, which is the Arabic word for "sunset". Egypt lies to the northeast and encompasses part of West Asia, while Sudan is situated on the edge of the Sahel, to the south of Egypt. Egypt is a transcontinental country because of the Sinai Peninsula, which geographically lies in Western Asia. North Africa also includes a number of Spanish possessions (Ceuta and Melilla and tiny Spanish islets off the coast of Morocco). The Canary Islands and Madeira in the North Atlantic Ocean northwest of the African mainland are included in considerations of the region. The distinction between North Africa and much of Sub-Saharan Africa is historically and ecologically significant because of the effective barrier created by the Sahara Desert for much of modern history. From 3500 BC, following the abrupt desertification of the Sahara due to gradual changes in the Earth's orbit, this barrier has culturally separated the North from the rest of the continent. As the seafaring civilizations of the Phoenicians, Greeks, Romans, Muslims and others facilitated communication and migration across the Mediterranean Sea, the cultures of North Africa became much more closely tied to Southwestern Asia and Europe than Sub-Saharan Africa. The Islamic influence in the area is also significant, and North Africa is a major part of the Muslim world. Available AUSC Presidency Special Advisors were appointed by the AUSC President’s Office on behalf of the AUSC International Transitional Committee 2016-2019 set activities as distributed in the AUSC International Action Plan 2016-2019, from January 1st, 2016 under full term of Office for a 3 years period covering Academic year 2015-2016, 2016-2017, and 2017- 2018, till June 30th , 2019. Therefore, the Office of AUSC President is highly recommending Available AUSC Presidency Special Advisors for allowing them to go ahead in starting the activities as assigned to the currently Available AUSC Presidency Special Advisors, as requested. 2. Helping AUSC Presidency to raise the voice of African Students and to make it become fully included in the African Union leadership and development decision making for the better Africa We Deserve as deserving our next generations. 3. Helping AUSC Presidency to maximize recruitment system for obtaining all African Countries from all 5 regions of Africa to be fully represented inside the AUSC International Leadership system. 5. Helping AUSC Presidency ensuring the proper welfare of the members of the AUSC in Africa and Diaspora. AUSC North Africa Region Advisory Recruitment System _ 1st Period January 1st 2016-2016, December 31st. 1. Assist AUSC in achieving maximum recruitment of all youth leaders in the North Africa Region Countries. 2. Provide an operational advisory recruitment system for AUSC North Africa Region. 3. Provide a detailed and useful reference for all AUSC North Africa Region National Representatives to assist in their recruitment process of AUSC National Representative Team members at all levels. - For the sensitivity of this position, as the AUSC National Representative is the leader who will be carrying the full leadership responsibility of actual activation of AUSC within his/her country for the whole 3 periods of the AUSC International Action Plan 2016-2019, the recruitment of this position is recommended to follow the methods of Internal Recruitment (properties detailed below in section 4., PART FOUR). - Attached to this document, The AUSC North Africa Region Presidency Special Advisor Office has made a one page sample draft document in Word containing the email that can be used by All AUSC Leaders to make the first initiative when approaching potential leaders for Only the position of AUSC National Representative for the remaining un appointed Northern Africa Countries ( Those include; Egypt, Algeria, Tunisia, Morocco, Libya and Western Sahara) as AUSC Sudan has already had its AUSC Sudan National Representative. - Furthermore, the AUSC North Africa Region Presidency Special Advisor Office has similarly sent the above mentioned email to number of suggested Youth Leaders for the position of AUSC National Representative of the remaining un appointed Northern Africa Countries and the office is highly welcoming and recommending any suggestion of potential candidates for this position to be presented from ALL AUSC AVAILABLE LEADERS to be forwarded to both the office of the AUSC North Africa Regional Representative and the AUSC President’s Office. 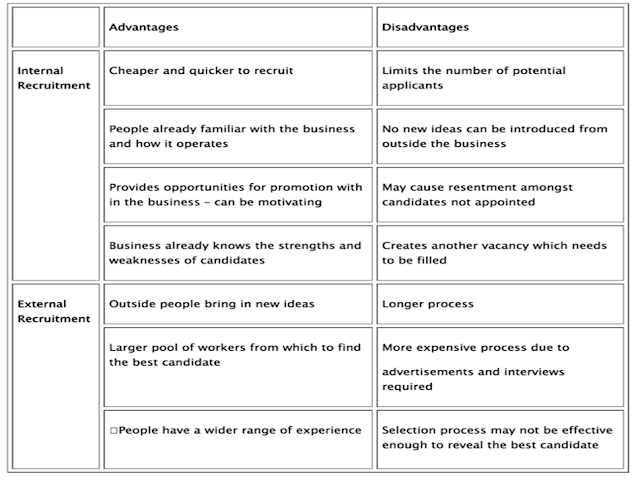 Internal recruitment is when the organization looks to fill the vacancy from within its existing workforce. External recruitment is when the organization looks to fill the vacancy from any suitable applicant outside the workforce. - The AUSC National Representative can use the following guidelines when looking into methods of recruiting new AUSC Leaders within his/her country and also when starting the process of appointing AUSC National Leaders All. - Put in mind that each country of the Northern Africa Region has its own additional related approaches (i.e. special norms and traditions) that can be used to attract volunteers to join in their AUSC National Leaders All. - Such related approaches need to be fully recognized by all the AUSC National Representatives to ensure supreme efficiency of the 1st Period January 1st 2016-2016 December 31st AUSC International Action Plan. - Any AUSC Northern Africa Countries’ National Representative needs to make sure to publish all the AUSC National Calls for his/her AUSC National Leaders team at all levels of recruitment in the local language of the represented country in addition to the Universal English Language to ensure the complete understanding of All. - Remember, a wise once said: “Working hard for something you don’t care about is called stress, while working hard for something you love is called passion”. · Take a moment to reflect on why you yourself are here. · Why are you attracted to this organization? · Why are you committed to the cause? · What does it have to offer you as a person? · How representative are you? · Try and set down in simple terms the factors that bind you to the group. Recruiting volunteers is very much the same as recruiting donors. You need to point out to both donors and volunteers why your organization is unique and valuable. In addition, however, you will need to tell volunteers that it is also fun, rewarding, and a source of personal development. So, in order to achieve that you need to really believe of your answers to the above questions to truly convince others. It is for the sake of Mama Africa’s Deserving future! You're going to be assessing prospective volunteers to see if they fit the needs of AUSC - to see whether they're competent, whether they get along with people, whether they have the skills you're looking for and fit the position description. You need to assess their trustworthiness as part of the process. If someone does come forward to volunteer whom you don't think is suitable, you can appoint that person in areas where he/she can best perform in. Remember, there is always room for ones who want to offer their help! Offer space for discussion. They're going to be working with the other volunteers, and they want to know that they are able to trust them to do the right thing; and the other volunteers want to know the same thing about them. Be prepared! You never know. All sorts of people can do wrong things. There can be no real guarantees about anybody, whether they've been screened or not; but we can guarantee that if a volunteer does go wrong and you hadn't checked him or her before they came on board then the organization could be in big trouble - with the law, with your public liability insurers, with the press, and with your donors. You may be sued, or prosecuted, or pilloried. The best way or recruiting people and the best way of raising funds from people are identical; have one of their friends go up to them and ask them. You will very probably have to resort to other less productive methods later, but start with this one. Organize your Board and your members to buttonhole five people each. Ask your existing volunteers to chase their friends. You may ask "Isn't this very slow?" It may seem slow, but it gets you actual real breathing members on the ground faster than anything else. It's what works. We are so bombarded by T.V., billboards, magazines and newspapers that we often think that personal contact is ineffective, that we need more "modern methods." Ask yourself, though, how the pressure you feel when someone you know asks you to do something compares to the pressure you feel when you see a toothpaste ad on the T.V. Which makes you feel more motivated? And you're not just selling a transitory minty-fresh experience like toothpaste, you're asking people to make a meaningful commitment over the long term. As one activist said, "I don't recruit people. I just think who might be able to help, tell them what we need, and ask them to do it. They hardly ever turn me down." * This system of recruitment is HIGHLY recommended to be used to recruit the position of AUSC National Representative. · This won't be enough by itself. Word-of-mouth is by its nature limiting -- Volunteers tend to recruit people much like themselves which limit diversity. You must make an effort to get a spread of people, even at the beginning - in fact, especially at the beginning. · If you're putting on an event, try and recruit from the people you're selling to. If they have a good time on the day, they may want to get more closely involved. Consider holding special social events such as picnics or parties to show prospective volunteers (and your friends and family) that volunteering is fun as well as work. · Make your recruiting program a central part of your whole marketing and public relations program. When you have access to the media, or when you are getting your message out to the public, include a call for volunteers. When you are delivering a presentation to a service group or addressing a mob in the Domain, ask for volunteers. · When you have done all you can with face-to-face soliciting consider a more closely targeted volunteer campaign. · First, decide where you would expect to find people who were in sympathy with your aims, and where you would go to find volunteers with the qualities you require (if these are the same place, then your job is simpler; but they are often very different). · Once you determine this, set about designing promotional materials such as brochures and flyers to reach these groups. The material should be consistent with your general media strategy, and should as far as possible share a common look and feel with your other promotions. Your material should describe the needs that the program is trying to fill, in terms that people can relate to, and describe how volunteers will fill those needs. It should stress what volunteers will get out of it - not in monetary terms, but in terms of personal satisfaction and community recognition. -Volunteers needed. XYZ Community Services, 555-6741. -Volunteers desperately needed. XYZ Community Services, 555-6741. · Focus on a "desperate need" does not, in fact, inspire action, it just makes people think your organization is on the skids and unworthy of support. · Once your recruitment process is in place you are now ready to target the appropriate audiences to recruit those who are truly interested in the project. 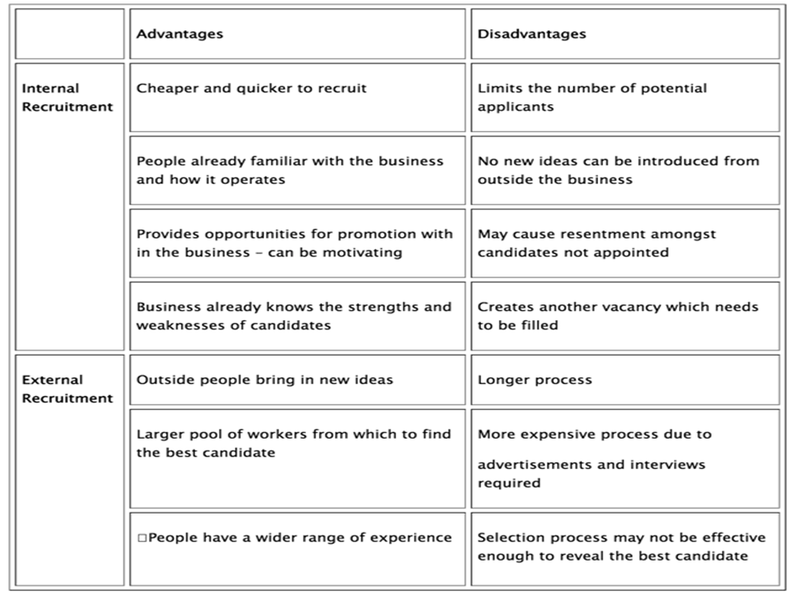 First you need to develop concise, clear-cut recruitment ads that will attract the best applicants to your program. · Next you will need to place your ads in places where people are going to see them. Access potentially new types of volunteers. Many different people use the internet, but the medium is used a lot by younger and/or tertiary trained individuals - segments of the community who traditionally have lower participation in volunteering activities. Improve your volunteer relations by making volunteering easy and convenient. Keep in mind! Volunteers are the only AUSC Youth Leaders who generate the organization’s actions. Maintain them dearly as: “A single footstep will not make a path on earth, so as a single thought will not make a pathway in the mind”. 1. Leadership is a facet of management. "Managers do things right, while leaders do the right.” Richard Pascale,‘Managing on the Edge’, Penguin Book, pp 65, 1990. A leader is more emotional than a manager. "Men are governed by their emotions rather than their intelligence." John Fenton, ‘101 Ways to Boost Your Business Performance’,Mandarin Business, pp 113, 1990. "Leaders must let vision, strategies, goals, and values be the guide-post for action and behaviour rather than attempting to control others." Daniel. F. Predpall, ‘Developing Quality Improvement Processes In Consulting Engineering Firms’, Journal of Management in Engineering, pp 30-31, May-June 1994. Groups are often more loyal to a leader than a manager. "Leaders are observant and sensitive people. They know their team and develop mutual confidence within it." John Fenton,‘101 Ways to Boost Your Business Performance’, Mandarin Business, pp 113, 1990. "Leaders stand out by being different. They question assumption and are suspicious of tradition. They seek out the truth and make decisions based on fact, not prejudice. They have a preference for innovation.” John Fenton, ‘ 101 Ways to Boost Your Business Performance’, Mandarin Business, pp 113, 1990. A key aspect of leadership is delegation. Unless you delegate tasks to your subordinates, your team will become inefficient and demoralised. "I not only use all the brains I have, but all I can borrow." - Woodrow Wilson. 2. The key to holding the team together is motivation. To motivate is to: "cause (person) to act in a particular way; stimulate interest of (person in activity)." Pocket Oxford Dictionary. Oxford University Press. -Provide opportunities for group members to become acquainted. - Indicate the importance/value of the group. - Make people feel they are important. Inevitably, disputes ranging from minor differences in opinion, to fundamental differences in ideology, will arise. The role of the team leader is to handle such disagreements constructively, ensuring that the team remains focused on achieving its goal. The leader must encourage team members to stand back from any disagreements and look at things objectively. By doing this, any differences between group members will be resolved and possible conflicts avoided. The most important point for a team leader to remember is that each individual needs to think that they are working with the best people - to feel proud to be part of the team. By getting people into this state of mind a leader will instil a high level of group morale; people will work harder and achieve more. FEEL FREE TO CONTACT ME IN CASE OF FURTHER CLARIFICATION, COMMENT OR QUESTION! African Union Students’ Council _ AUSC "For the better Africa we deserve". African Union Students' Council _ AUSC "For The better Africa we deserve"